SOME TIME AWAY IN 2003 was exactly what Kenneth Wilson needed to figure out his next move. A longtime activist and organizer in the August Town community on the outskirts of Kingston, Jamaica, Wilson was feeling isolated in his efforts to address the gang violence that routinely brought “misery and mayhem” to his hometown. Read more articles in the 2018 issue of Peacebuilder. At the Summer Peacebuilding Institute that year, able to reflect from a distance on these challenges, he began drafting plans for a new organization composed of leaders in each of August Town’s five districts. Wilson, who had also attended SPI in 2000, 2001 and 2002, envisioned a group that could both identify emerging conflicts and then work together to resolve them. While still at SPI, Wilson compiled a list of specific residents to recruit to the effort, and immediately upon returning, began working to make the August Town Peace Builders a reality. Over the 15 years since, the group has been able to repeatedly defuse local conflicts before they spin out of control, working with a variety of partners including the police, churches and other organizations. As a result, August Town Peace Builders’ stature and reputation within the community has grown, propelled by Wilson’s frequent interviews with local media. It still came as a shock, however, when he received a phone call earlier this year letting him know that he’d been chosen to receive the Jamaican Prime Minister’s Medal of Appreciation for Contribution to Nation Building. 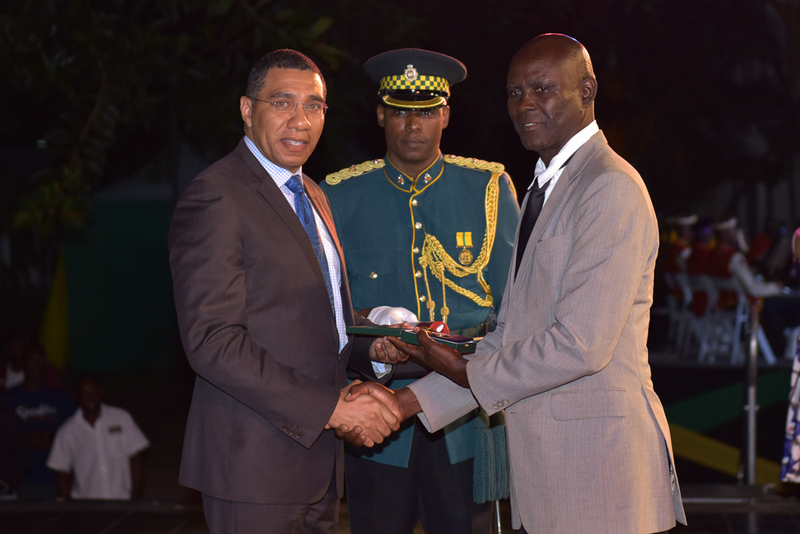 Wilson accepted the award from Prime Minister Andrew Holness at a ceremony on April 25. “It was really a defining moment for me personally,” Wilson says. There have, of course, been setbacks along the way, including a recent outbreak of violence in August Town despite the group’s best efforts. And there have been constant sacrifices required of Wilson and his colleagues, such as putting personal lives on hold to prioritize community needs. Buoyed by the recent honor, however, Wilson hopes his fellow peacebuilders around the world find the strength to continue their work. This article first appeared in the 2018 issue of Peacebuilder magazine, a publication of Eastern Mennonite University’s Center for Justice and Peacebuilding.